The husband, Rick Pipito, is back at it again. The martinis just keep getting better and better. I wanted to share with you this delicious holiday drink. My husband has been to a couple different foodie events with me and we had the pleasure of trying some amazing foods, but this liquor really captured our attention. It’s a local place here in Philly called Art in the age . They have 4 different flavors of spirits: Root, Sage, Snap and Rhubarb. I love them all and I hope the hubby comes up with different martinis with these other flavors. Anyway for this one we used my all time favorite… Sage. So many people use Sage right now for their cooking during Thanksgiving. 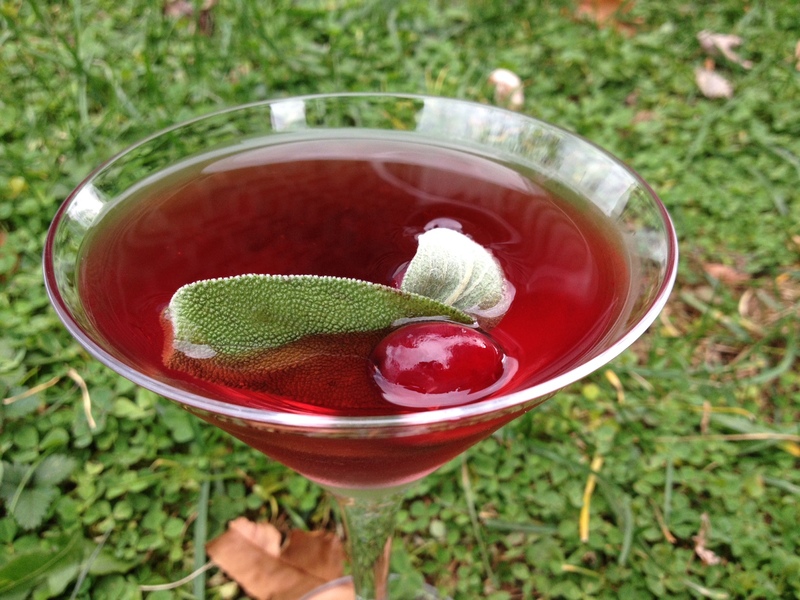 So why not take the other top seller around this time, cranberries, and make a martini. It’s super easy to make and so tantalizing to your taste buds. I hope you try this delicious cocktail at your next holiday party. I think my husband will totally get behind making this martini! Can’t wait to try it! I love martinis! A great idea to add sage. Sharing on Hot, Cheap & Easy, FB!!! !